JERUSALEM (Ma’an) — Israeli municipality officials delivered a demolition order Friday to the al-Qaaqaa Mosque, a house, and a studio apartment in the Silwan neighborhood of occupied East Jerusalem, local sources told Ma’an. Majdi al-Abbasi, from the Wadi Hilweh Information Center in Silwan, said that Israeli municipality members delivered a demolition order to the al-Qaaqaa mosque in the Ein al-Luza area of the neighborhood. The mosque, built three years ago, is a 110 square meter space that serves 5,000 worshipers. 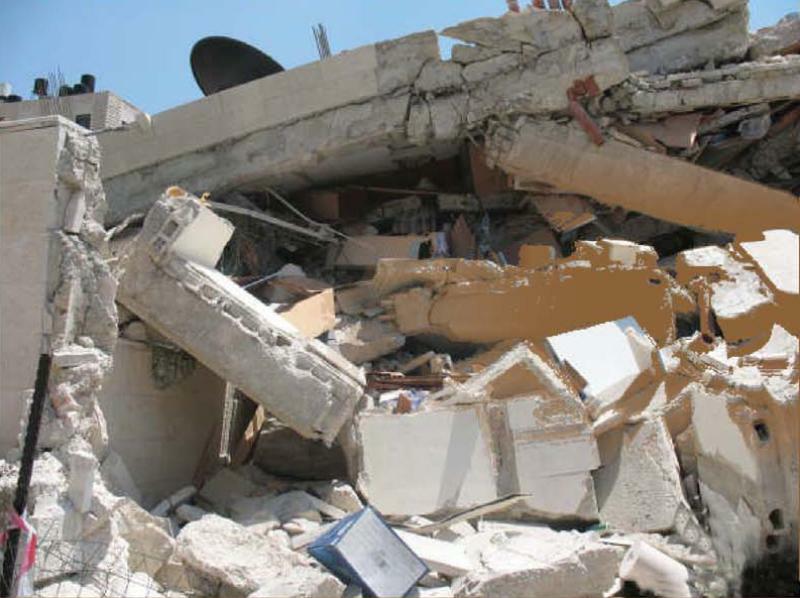 Al-Abbasi added that the Israeli municipality also delivered a demolition order to a studio apartment and its facilities. The studio belongs to Iyad al-Abbasi and was built 12 years ago. A demolition order was also delivered to a home housing six people.Earlier this week an Israeli court ruled to demolish a football field and its facilities in Silwan, a local committee said. The ruling includes the demolition of a 1.5 dunam (.4 acre) sports field as well as a neighboring warehouse and animal shed.Silwan is one of many Palestinian neighborhoods in occupied East Jerusalem that is seeing an influx of Israeli settlers at the cost of the demolition of Palestinian homes and eviction of Palestinian families. Israeli authorities have carried out around 370 demolitions of Palestinian property in occupied East Jerusalem and the West Bank since the start of 2015, displacing an estimated 432 residents, according to the UN Office for the Coordination of Humanitarian Affairs. Thousands of Palestinian residents are at risk of losing their homes, as members of the current right-wing Israeli government continue to champion longstanding policies to obtain a Jewish majority in East Jerusalem. East Jerusalem was occupied by Israel in 1967 in a move never recognized by the international community, and four decades of Israeli policy in the area have neglected the Palestinian community while fostering the growth of Jewish settlement.